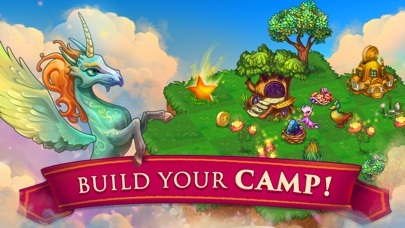 If you aren’t into losing yourself in a game for long episodes of time, do not download this game. It is addicting ! I can’t merge anything ( that I need). due to the space being Filled very rapidly by them harvesting with out my control and is getting difficult. Please at least add some sort of ON/OFF button or a Hibernation cave?? That way I could clear some clutter and harvest what I need. Or at least reduce the # of heal on dead items to add more space?? This game is adorable and I absolutely love it. 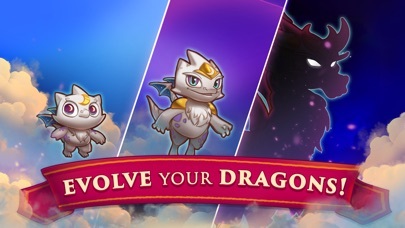 The dragons are so cute and it’s really fun. Although, it does have its downsides. First off, THE GEMS. IT TAKES ME SOOOOOOOOOOOO LONG TO GET MORE GEMS. The gem prices are too big too. The vaults cost too much, and the specialty land isn’t that special. Another thing, in the match five event, whenever I matched five it would sometimes match with 3 or 4 and it was OVERLY AGGRAVATING. I just wanted to SCREAM my head of and punch the phone (But I didn’t). I would like it if you tried to merge something and a little box would pop up saying Do you want to merge_____ with _____. And it would say how much of that object you wanted to merge. Anyway, I love this game and I probably will keep it for a long time. 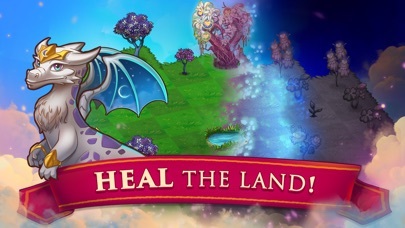 I play DragonVale a lot, and have been playing it for a long time, so I was intrigued by a game with a similar dragon collection feature. But the way this game tries to squeeze money out of you at every turn is awful. 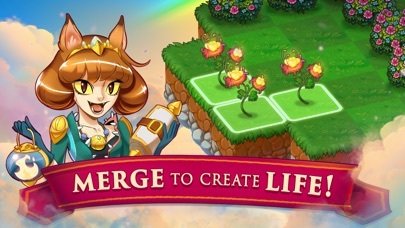 The merging mechanic is nice, but the fact that you can just buy good items with gems takes the fun away- and since getting gems without spending money is all but impossible, you either pay up or don’t get anything good like egg chests. The rate chalices refill is agonizingly slow, the best items are locked behind a paywall of gems, and the grind is agonizingly slow unless you speed it up by watching ads. So much potential wasted by being greedy.